Yesterday, BGR made a SNAFU and claimed that iOS 4.3 was due to be pumped down to users in just a couple of hours. Obviously, that didn’t happen, but The Loop’s Jim Dalrymple has iOS 4.3’s actual release pegged for later today. That’s looking increasingly likely. Earlier today, and less than a week after releasing iTunes 10.2, Apple has released iTunes 10.2.1 through the usual channels, which is solely a release paving the way for iTunes 4.3. In fact, it appears to be mostly a small bug fix release, as Apple’s release notes state that iTunes 10.2.1 offers the ability to sync with an iPhone, iPad, or iPod touch running iOS 4.3, as well as improved Home Sharing, letting users browse and play from their iTunes libraries with Home Sharing on any iPhone, iPad, or iPod touch running iOS 4.3. That’s the same as iTunes 10.2. No other features or bug fixes are mentioned in the release notes, but you can bet that if Apple didn’t feel that a new version of iTunes so shortly after the last version’s release was critical, they wouldn’t have pushed out so quickly. 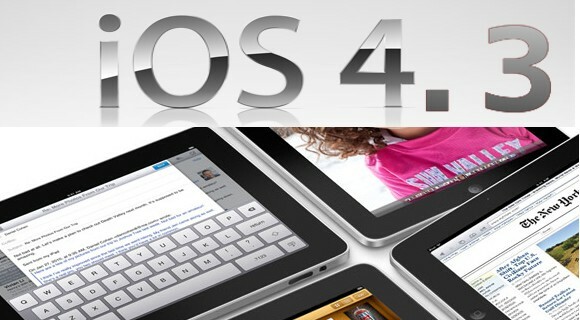 Expect iOS 4.3 to drop in a few hours.